After the post Thanksgiving consumer fest that is Black Friday thru today Cyber Monday, it’s easy to get lost in the sea of shopping bags and receipts. The news will tell you it’s you helping the economy, and the commercials tell you that you have to have it…that you can’t live without it…but how much of what is bought is personal? That is exactly what our dear CLF Member HoosierLady did; Then thinking of her community has crocheted (at last count) 55 original hats in child to adult small sizes and five hat/scarf sets to be donated to a local charity in her home town. You can read her story in the project notes posted on Ravelry. If you’re not on Ravelry, let me just sum up how bad the situation is in her area, Elkhart , Indiana. When she found out about this in August, she put her hook into action, When I read through her project notes, I couldn’t help but swell with pride to have such a wonderful member in our group. After all, this is the season of giving, of showing love and compassion for our fellow humans. 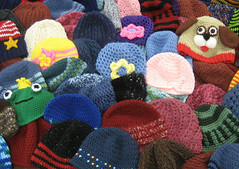 She isn’t alone, so many of our crocheters make hats, scarves, blankets and more for so many charities. We know how important it is to give just a little (or a lot) of our time and love to help someone else make it through their holiday season, or heck even just their day. If you know of any great charities in your area, please list them here in the comment section. BTW I think my favorite hat is the pupppy dog one! Who ever gets that hat will be one lucky kid! It is now safe to go to the CLF Website. All fixed, all better, now I can get back to work on the website. YAY… So let’s celebrate with some Holiday Carols shall we? This adorable wall hanging is perfect for those who “Need a Little Christmas” or enjoy the by gone Victorian mood of the holidays ;D That and I think they are so cute! For only $15 you get an amazingly detailed and versatile pattern! Too much fun! The pattern is by Lois Leigh Anderson and can be found here! But what a project! I just finished a stocking with pockets on the outside (need to sew on buttons and a handle) which will be a gift bag for a special little girl 😀 Making a snowman now too, and since I had no computer to work on, I have actually crocheted even more…finished up a set of doll clothes and accessories, a blanket, and started a fillet blankie for a neice…I’ll be making wrist warmers, the snowman gift bag, and a few felted hats as well…plus one more blanket, I think I can get all of that done in the next week…I hope. Yes, I’m crocheting at top speed…It’s the holidays don’t you know. Yes, bazaar, not bizarre but you never know, coming from me it may end up being about both! The Facebook Page is really active, and I completely appreciate everyone’s comments, it really gives me lots of good blogging fodder. 1) $5.00 an hour is pretty cheap for labor. Yeah it is, and I actually do charge more for my own labor than that, but the last post was directed to people who a) haven’t considered charging time and or b) undersell their labor. A step up is a step up. 2) $5.00 an hour is pretty expense, who will buy it? Um…no it’s not expensive. What is the national minimum wage? 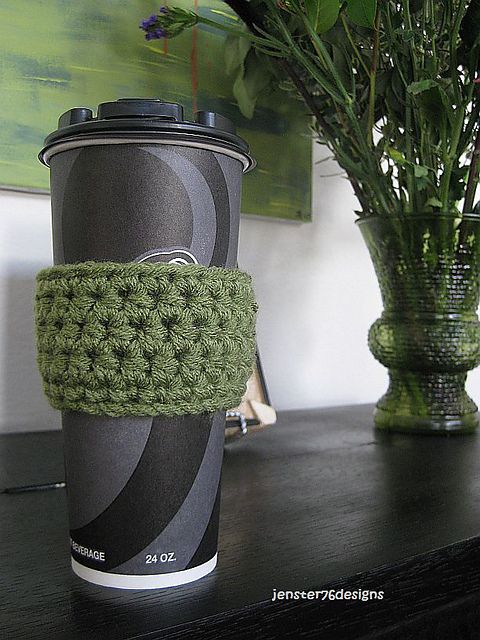 So you’re telling me that it’s more valuable to work at a burger joint than it is to crochet something? Not saying working at a burger joint is a bad thing at all, just trying to get you to think about it…Do you want fries with that? People buy things they think are valuable. 3) Only other crafters get it…. Yes, that is true, only other crafters really will “GET” how much time it took to make what you make, or the skill involved. But no one really gets how the car engine in their vehicle works unless they are a mechanic, but they still buy cars don’t they? How many people buy jewelry, do you really “get” what it takes to cut a gem well? How about baked goods, a lot of people still buy cakes and cupcakes, I mean some people spend at least $3.00 on a cupcake, I know I can bake a dozen of them for that price, but when I buy a cupcake, I’m paying for the utilities/labor of the store/bakery too…right? Ok, well charge your time. Don’t qualify it, don’t apologise for it, just charge it because you know you’re worth it and voila! 4) What if someone is selling theirs cheaper? No one will buy mine… Not true. I was speaking to a friend of mine who sells crocheted hand towels and dishcloths at holiday bazaars. She was remarking to me how she felt guilty for someone buying her stuff that cost a little more and how people remarked that her stuff was “nicer”. Well ya see? She didn’t think it was nicer than the other persons at the bazaar, but since she charged more, she made more sales. It’s not like she was breaking anyone’s bank either. 5) I don’t want to sell mine I like gifting mine. Cool! You don’t have to sell your work. The post was for those who do want to or do sell their work. Stay posted for posts on holiday gift giving. Gifting is valuable too! So those are the top five I felt I needed to address from the get go…It’s a matter of value. Think of it this way, do you really value yourself? Do you sell yourself short? I think maybe some of you do, I know I do sometimes. I feel weird about charging for my work, it took a long time for me to feel comfortable asking a fair price, and even though I now gratefully recieve it, I still feel wierd taking the money; I just don’t let it stop me. Ok…We’ve discussed price, now lets talk about merchandising!! First of all, merchandising for those not in the know, is a key component to doing well in any kind of retail sales. In real terms it’s how you set up your table or booth. It doesn’t take a lot of expensive fixtures to make an attractive display, it does take some thought and a good eye certainly helps. I learned to merchandise from the display team at Meyer & Franks Department store in Portland, Or when I was in high school. Those guys took me under their wing and I learned lots of fun tips and tricks to making display magic happen! So for the holiday bazaar here’s some great, simple and affordable things you can do! 1) Make sure the table is covered fully, with a cloth that drapes to the floor. No one wants to see your feet under the table, or your bags, boxes etc. (Some bazaars and shows include table draping)… You can use white, or black, or blue, try to avoid neon colors. Off white is my personal favorite, often there are fluorescent lights and real white doesn’t do well in that kind of lighting. 2) If you are selling garments, hats, scarves and slippers, make sure some are displayed up right. You don’t need mannequin heads, but if you have them SWEET!! If you don’t have them use plastic bags or newspaper/tissue paper to fill them out so people can have a good idea of what they look like. For scarves you can cover pop bottles with fabric, or a pretty canvas bag and drape the scarves around them. Slippers can be stuffed to show how they wear. 3) Have your most affordable items in easy reach, with a sign showing how affordable they are! PINS $5 on a shoebox covered in wrapping paper, holding the pins is a great way to show that off! It draws people to your table! 4) Use 3-D to your advantage. Even if you only have a table space you can make 3-D displays. Use boxes of all sizes to make various heights on your table, you can put them under the cloth for an easy fix, or you can wrap up those shipping boxes you get in pretty wrapping paper and use them to help display! 5) MAKE SURE YOUR PRICES ARE LABELED CLEARLY ON THE ITEMS. People rarely ask how much something costs. If you have a special deal make sure it’s posted well, such as Hats $30 Scarves $20 Hat/Scarf Set Only $40 Remember that’s just a suggestion of a deal not the pricing! Here’s a cute and simple pattern I found on Ravlery by Jennifer Kaye, and I made sure the link wasn’t malicious!! Here’s where you find the pattern! Post Retreat and here come the holidays! Well, I was a little wiped out after the retreat. I had intended to finish up my work on the CLF Website, and send off emails, and blog, but those intentions got lost in a puddle of drool last week. I’m now up and running and drool free, and ready to catch up on my errant holiday crocheting! 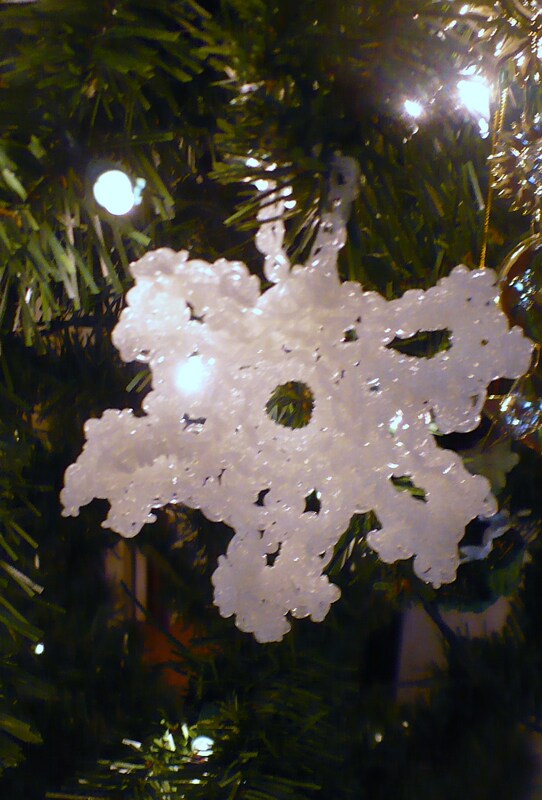 As we enter into the frenetic and often budget tight holiday season, I hope to post a variet of quick and easy projects that I spy on the “inter-web” as well as offering you a place to send your significant other or family members to see what you might want in the way of gifts!! Today’s pick: These adorable Cat and Puppy Stockings! By Maggie Weldon, you can purchase her pattern via the link http://www.ravelry.com/patterns/sources/maggies-crochet-pa829-cat-n-mouse-and-puppy-love-stockings. For the cat and dog lovers out there, and for those with grand-cats and grand-dogs I think these are too cute, and our furry friends will appreciate them if filled with yummy treaty goodness! Stay tuned for more holiday crochet ideas, right here! Oh and just in case you haven’t got your copy of the CLF First Ever Book, remember you can now buy it as a pdf download as well as a hard copy from the CLF Website! Holiday Crochet: Puppet with ‘tude! Meet “Clabbert” who is ” tree dwelling monkey frog like creature that has a pustule in the middle of it’s forehead that glows when muggles or danger approach.” According to CLF Member Starknits on Ravelry.com. Ok, so we know I needed a little Christmas Cheer…this did it. The most wonderful magical puppet with a glow in the dark “Pustule”.. 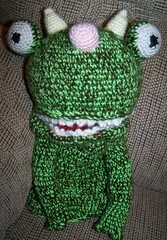 I loves it, I needs one, so I shall crochet puppets. Maybe not in time for the holidays but I need to do some puppeteering, because well, it just makes me giggle.